Marin County, just north of San Francisco, is a graveyard of ships. Its steep rock-bound shores, treacherous currents and frequent fogs have been the doom of hundreds of ships for over four hundred years. Local historian Brian K. Crawford has done extensive research fleshing out the details of famous wrecks from contemporary accounts, and identifying more than a hundred wrecks not documented elsewhere. Many of these are disasters within San Francisco Bay. Many of these tales are full of danger and heroism, of pathos and high adventure. Terrified passengers cling to overturned steamers or clutch at rocks in the pounding seas. Seamen clamber up cliffs to escape certain destruction. One captain runs two ferries aground and sinks a yacht all in one day. The vessels range from Spanish treasure galleons to garbage scows, clipper ships to floating dry docks. 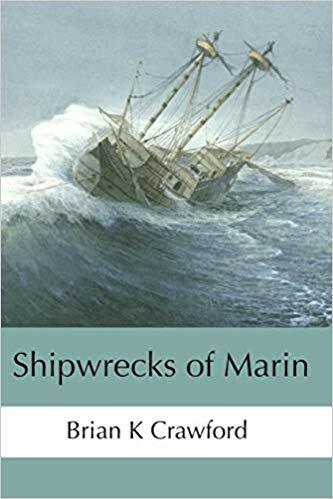 If you love ships and the sea or tales of danger and adventure, or if you just want to know more about the many wrecks that dot our coasts, you will find this book endlessly entertaining. The spectacularly scenic and curvy Bolinas-Fairfax is a favorite of many Marin residents, but few know its history. Built in 1878 and originally going to San Rafael, not Fairfax, it was an important connection with the remote coast. Meet the men who planned it, the surveyor who designed it, and the contractors who built it. Learn of its many routes over the years. A racist militia attack against the Chinese laborers was narrowly averted. A stagecoach line operated on it for 37 years, run by a string of colorful characters. Mud, landslides, wild animals, earthquakes, runaways, fires, overturns, and a holdup reveal the fascinating history of this famous road. 191 pages, extensively annotated, with 70 pictures, 25 maps, and an index. 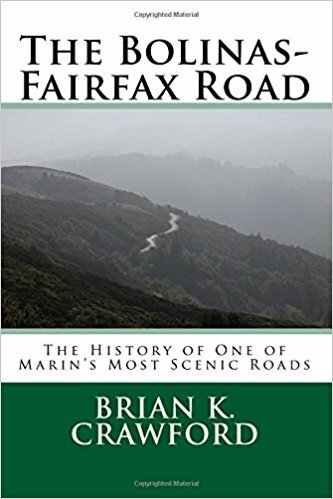 Contact me at brian@briancrawford.info for queries, book signings, or events - I have created presentations about the Bolinas-Fairfax Road and Shipwrecks of Marin I would love to bring to your event!